As you probably know, I’ve been blessed with the opportunity to attend many different schools across the country and have been exposed, as a student, to multiple training techniques. I’ve taken those learning opportunities and applied them to working with students. My work as an instructor dates back to my career in the airline industry when one of my duties was simulator and aircraft training and check riding of transitioning pilots. During the 2010 OMRRA season I trained and proficiency checked new novice racers. 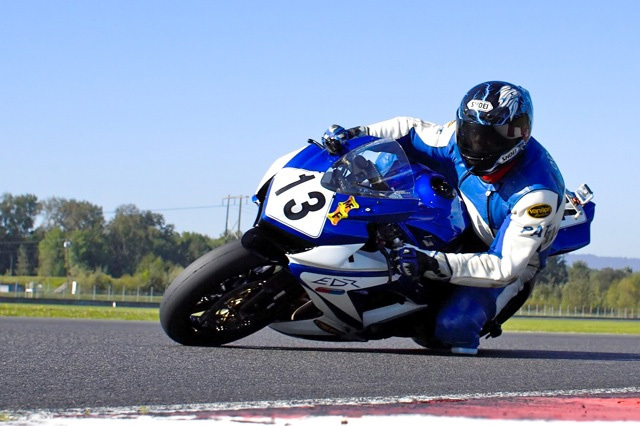 My goal when working with track day students is to ensure that they are enjoying the experience so that they will return and to also communicate and demonstrate ways to improve or repair the skills they already have regardless of their riding category, C-B-A. At this point in my life of retirement I have once again found a way to feel as though I can still be productive and contribute to those around us and I feel I have been fortunate to have had the opportunity to do that wearing the 2-Fast instructor cover over my leathers the last few years.